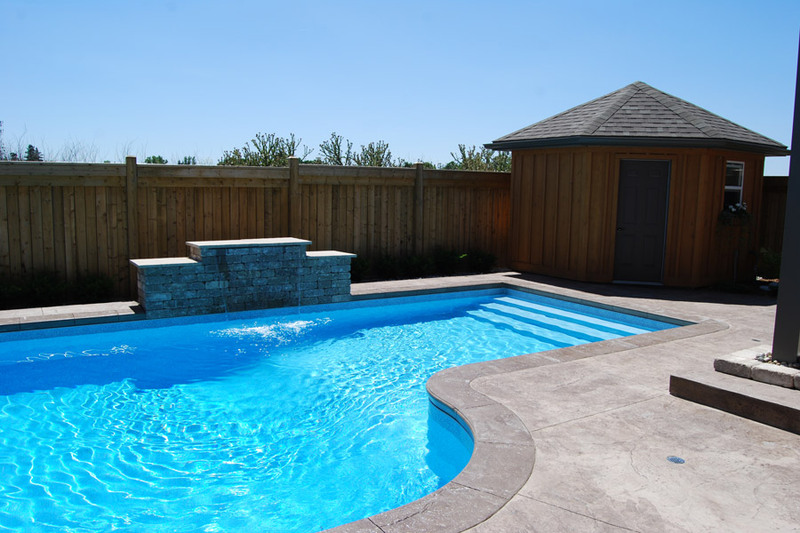 The Craigs Inground Pool makes incredible use of the space to provide room for everyone to enjoy the refreshing waters in this elegant space. 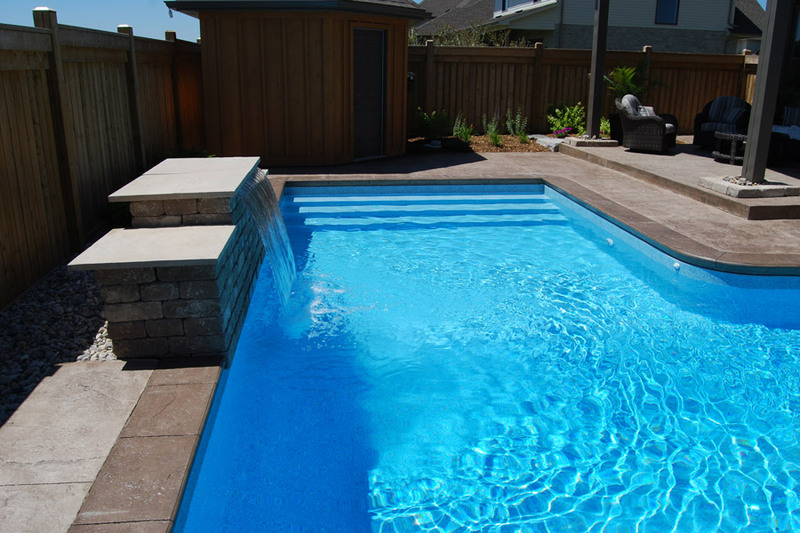 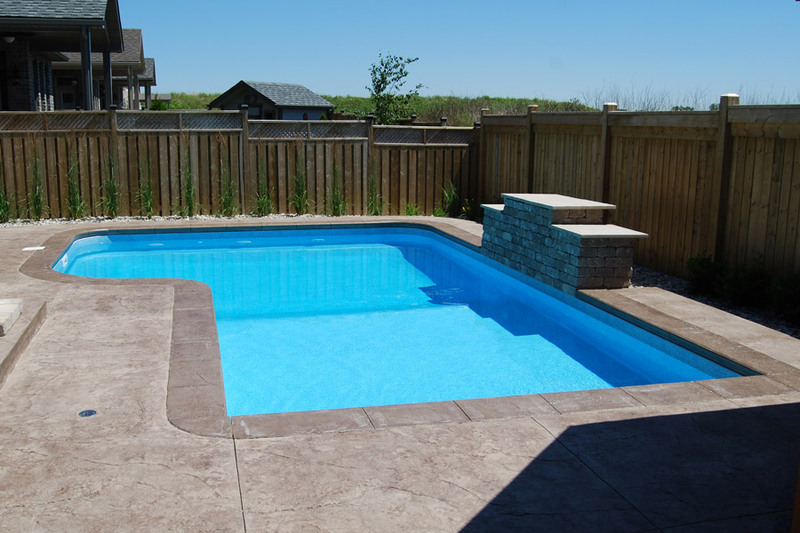 The quaint 12’ wide shallow end features a wall to wall vinyl over steel step entrance that frames the pool in, while also offering a touch of modern elegance. 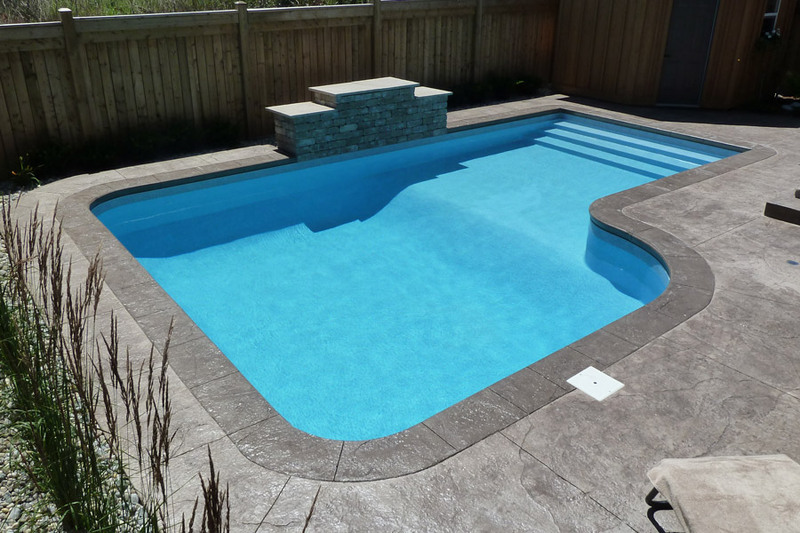 As the pool deepens, it also widens to 18’, making the pool look and feel colossal. 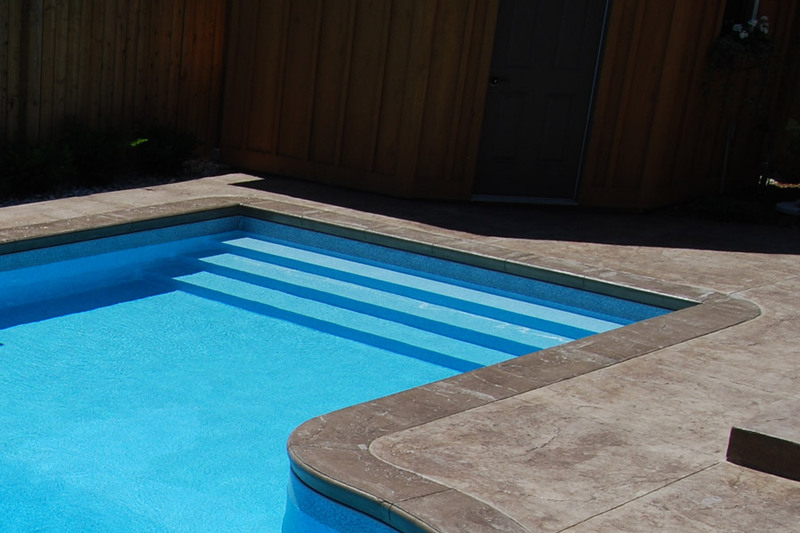 The full crystal pattern flows throughout the pool to provide a light and refreshing presence that makes any swimmer eager to jump in. 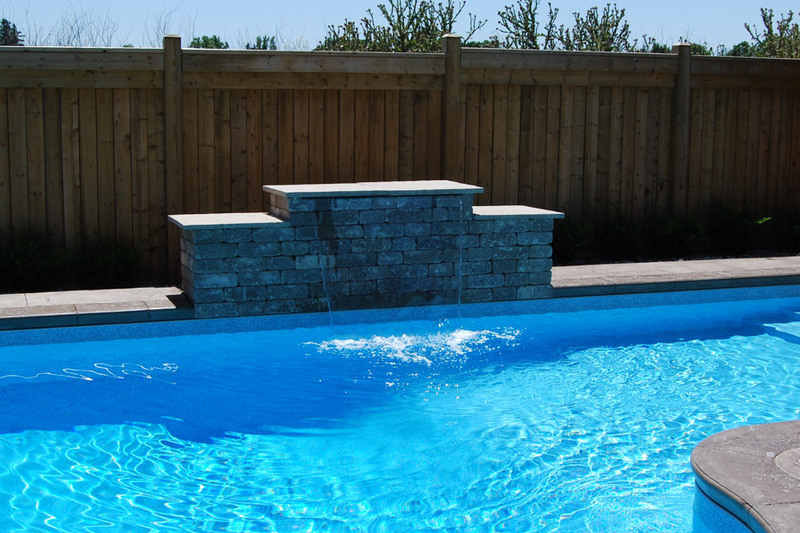 Two tone stone decking frames the exterior of the pool, with a side wall 4’ sheer descent accent.